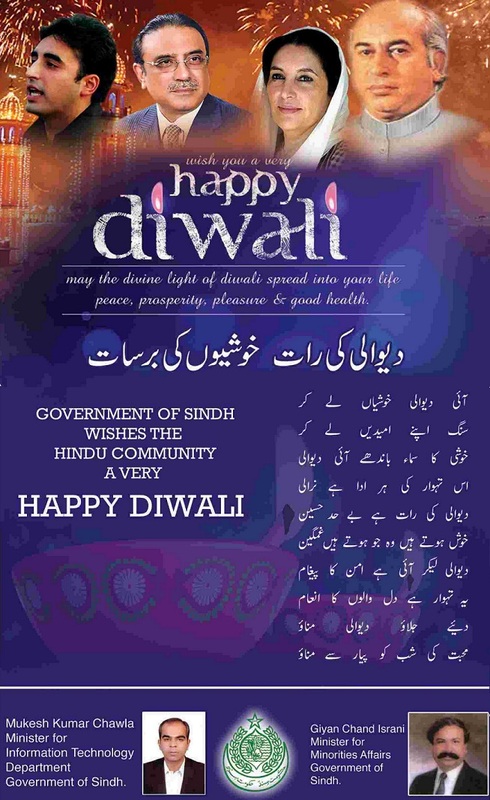 On the left is the official message by Government of Sindh, Pakistan in the leading newspaper 'Dawn'. 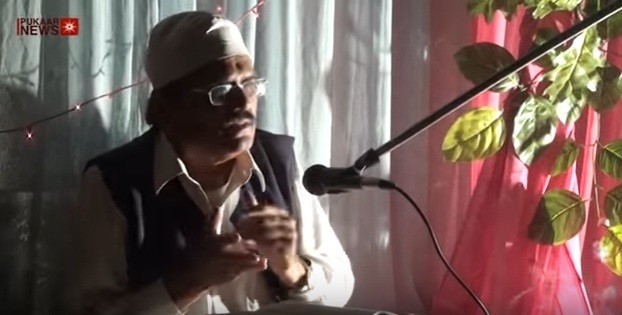 It wishes 'Happy Diwali' to all, along with the Nazm [poetry] titled, 'Diwali ki raat, Khushiyo.n ki barsaat'. The advertisement carries photographs of PPP leaders, which most of us identify. It also has names of Mahesh Kumar Chawla, who is Minister for Information Technology (IT) in Sindh government, and Giyan Chand Israni, Minister for Minorities. Thanks to social media, we get to know more about what happens in our neighbouring country. First, YLH [Yasser Latif Hamdani], mentioned the advertisement on his facebook post. Subsequently, I logged on to Dawn's website and saw the epaper. Shiraz Hassan clicked the photograph along with the report which was published in Dawn. 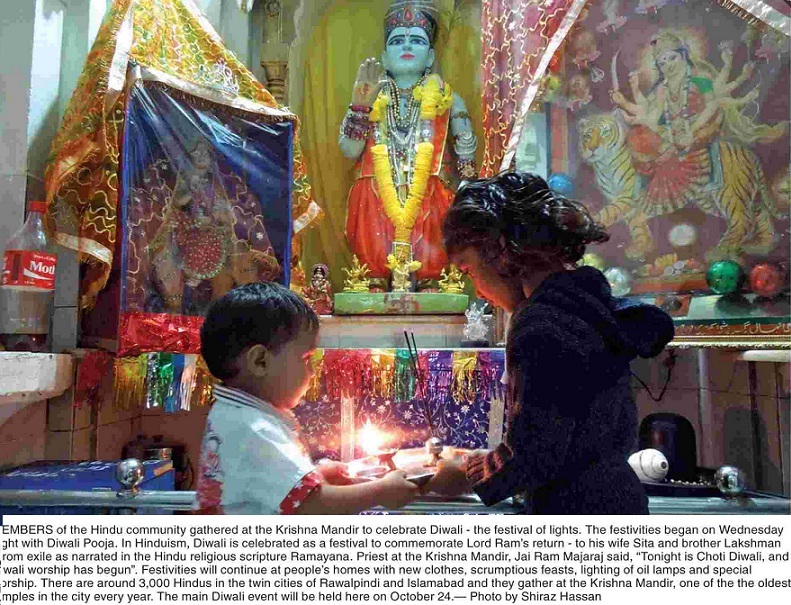 The nice photograph shows children at a temple in Rawalpindi, one of the big cities of Pakistan. It is the Krishna temple. You can see photograph it on the Dawn's website AT THIS LINK. 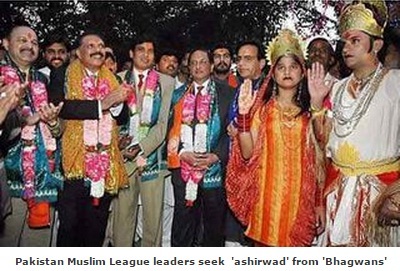 Earlier too, this blog has carried posts about Hindu festivities in Pakistan. But, it is due to the advent of social media, that we get to know better about our neighbouring country. Not just Sind, but from other regions too, you get to see reports. Else, one mostly gets to find bad or negative news and through loud anchors on TV channels. It may be true in Pakistan too when it comes to reporting stories regarding India. TRPs can be obtained not just by creating hysteria but also through the positive stories. My problem with the mainstream media is that good news is not covered. Why mainstream media doesn't show such stories? When 300 fishermen are released, it doesn't make big news on TV. CLICK TO READ. An example is that when a person is killed in a country and the reporter writes it, 'Hindu killed in X country' or 'Muslim killed in Y country', it is pure bigotry. Unless and until, the person is killed just because of his religion. Or when in border firing media tells only one side of the story i.e. the number of persons killed in your own country, not by the firing of your country's troops and the others' casualties. For knowing the complete picture, you have to see international newspapers or websites. Just like bad news, good news also should be given coverage. 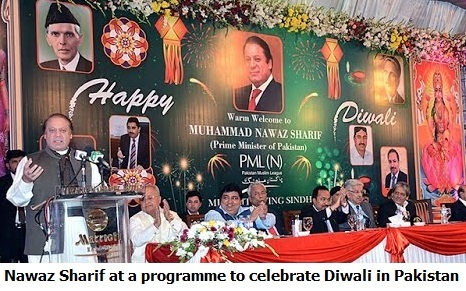 Now watch Pakistan's prime minister Nawaz Sharif joining Hindu community in Diwali celebrations. Apart from the photograph, do watch his message. The link to the video is HERE. The rout that had begun with Congress' losing to Narendra Modi-led BJP in the general elections, continues. The party has lost Maharashtra and Haryana. The writing was clear on the wall. People were fed up with the party and its arrogant leaders. The disdain towards the people. Who could forgive the ruling alliance whose leaders can say, 'Shall I urinate in dams to fill them, if there is not enough water". Deputy Chief Minister Ajit Pawar had said this when he was told that a farmer was sitting on fast for 55 days, demanding water for irrigation. [See link: Should I urinate to fill the dams?] Such language, such arrogance. And you expect people to vote for you! He was not alone. The body language, the way the party leaders behaved--it was all nauseating. From late Vilasrao Deshmukh to Ashok Chavan, either it was the controversial tour to Taj Hotel post 9/11 with movie-wallahs or the corruption in Adarsh society, they showed extreme callousness towards people. The image was not just that of a corrupt but also an insensitive, inactive government. Clearly, people had enough of this government, and for too long. But the loss of Maharashtra will hurt Congress at the national level, as the state elected Congress consistently, since independence. It has been after several successive terms that the party has finally been voted out of power here. 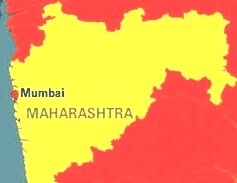 The BJP was the alliance partner when Shiv Sena had formed the government in Maharashtra in 1995. But this is the first time that the BJP has got such a mandate in Maharashtra. It has fallen short of majority but is now in a position to form the government. The emergence of All India Majlis Ittehadul Muslimeen (AIMIM) shows how Muslims had lost faith in Congress-NCP alliance. 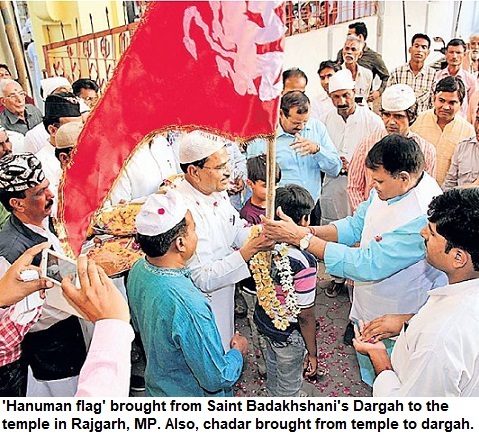 In fact, Muslims voted for AIMIM and SP, wherever its candidates had a slight chance. After all, Congress in Maharashtra had acted in a bizarre manner for over a decade. It ruled arrogantly and cared least for the most basic demands of the community. Forget the charge of appeasement, the party didn't care the least for Muslims. They probably felt that Muslims have no other option, and hence, they would vote for Congress anyhow. Muslims number around 10-11% in Maharashtra, but the number of Muslims lodged in jails in state, hovered between 35-40%. All this happened during this regime. Illegal detentions, midnight swoops were conducted routinely. [See link: Mumbrai midnight raid and humilitation] There was hardly any action in cases of blatant human rights violation and tortures in police custody. The killing of a software professional in Pune, didn't stir the government. In fact, whenever there were atrocities on Muslims or other backward sections, the Congress government wasn't seen taking a tough action, anywhere. To many people, it was bizarre, as they believed Congress to be pro-Muslim. They forgot that this party and its chief minister Sudhakarrao Naik was at the helm, when nearly 2,000 people were killed in Mumbai riots in 1992-93. The Sri Krishna Commission indicted politicians and top police officers for the massacre. But despite promising that the panel's recommendations will be implemented, the party went back on its promise. Never, it appeared to be intending to take any action. Probably because their own men were involved in the massacre. What else could be the reason for shielding them. Not IPS officers, even constables who fired on those praying in the mosque, were saved, at every step. The lies, broken promises, the extreme indifference of the government towards minority issues, was simply unbelievable. In courts, at every step, administration and prosecution tried to put obstacles in the process to to release those Muslim youths who had been implicated falsely by investigating agencies earlier. It was state-sponsored communalism at its best. In fact, the Congress regime had made it so tough that probably Muslims can brave any other regime in Maharashtra. The bureaucracy didn't work. It was a perennial problem for students of Urdu medium schools that they never got textbooks on time. The truth is that if one starts remembering the grievances, there is no end. It was same for Dalits, Backwards, other communities too. The administration was going from bad to worse. Can a government get even worse than this? I doubt. The biggest joke was that it was a 'secular government'. All of us have seen how secular they were all these years. And with elections over, the 'secular' NCP was the first to extend outside support to the 'un-secular Shiv Sena'. Some ask me, you don't understand, it's BJP victory. No, for me it is Congress loss, finally. If you are a slave to any party for decades, its your choice. Can you tell me the steps they took for your uplift or any other positive contribution. Losing an election doesn't mean the end of the world. Let's see, in opposition, what they will do. How many of these leaders will go to streets, work among people, raise their issues, and help them in sorting out their problems. Still you can mourn, its your right. I feel better with their rout.